We weren’t expecting it, but we were delighted to discover that Dali, China is one of the best cities we’ve been to for vegetarian dining. And we’ve been to a lot of cities. 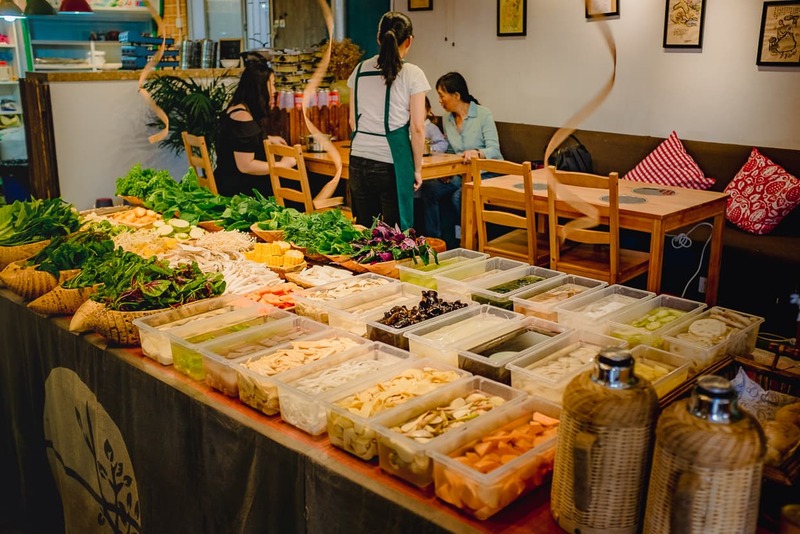 In this article, I’m going to list out our favorite vegetarian restaurants in the Dali Old Town area, and go over the strengths and weaknesses of each, and why we recommend them. Ever since we became vegetarians, we’ve wondered how it was going to effect our travels. It turns out, traveling as a vegetarian is both an obstacle to overcome, and a way to discover aspects of a city that other tourists miss. 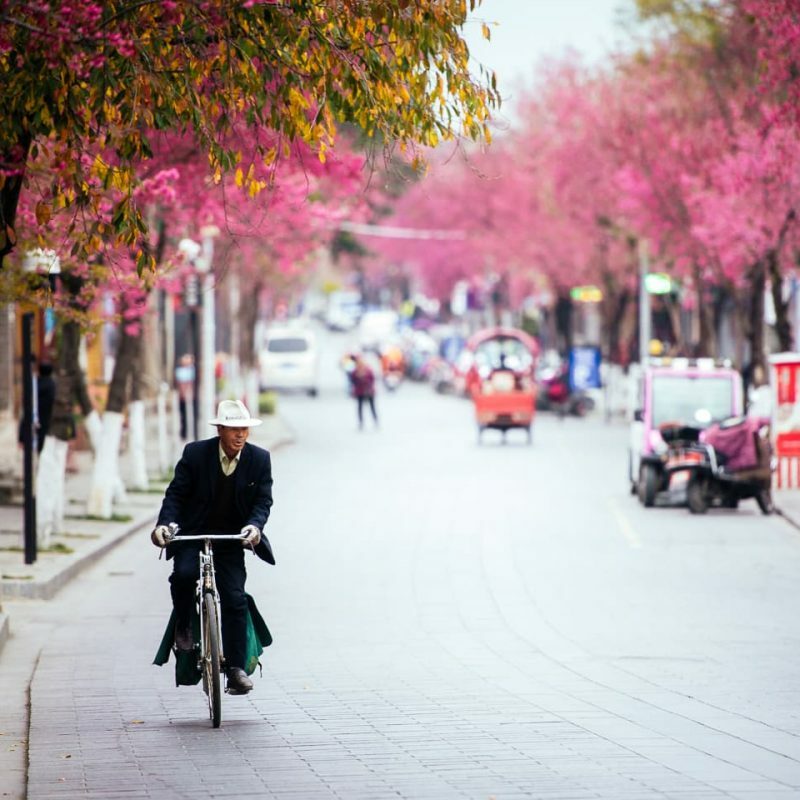 Dali, China is in the heart of Yunnan Province, where traditional Chinese foods blend with flavors from nearby Vietnam and Thailand, and where Buddhism runs deep, with a heavy influence from Tibet and other Buddhist regions where vegetarianism is common. 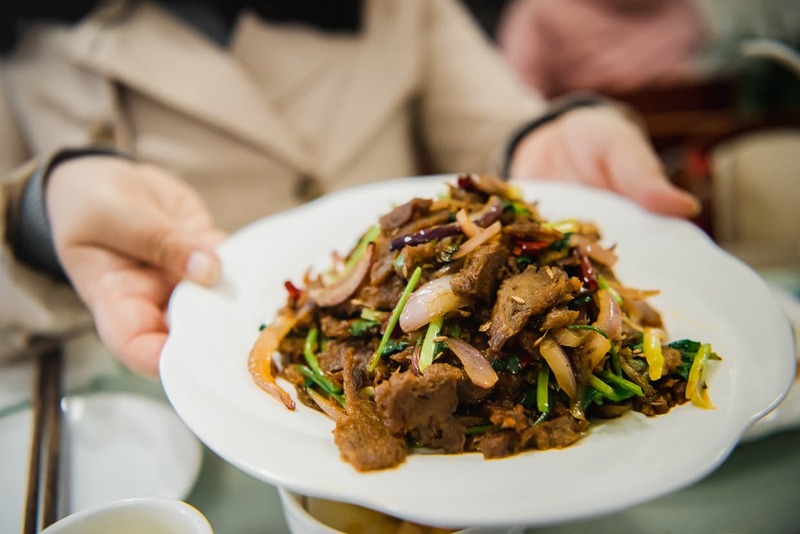 This is a stark contrast with much of Eastern China where vegetarian food can be really hard to come by, and when you do find it, the quality is often lacking. 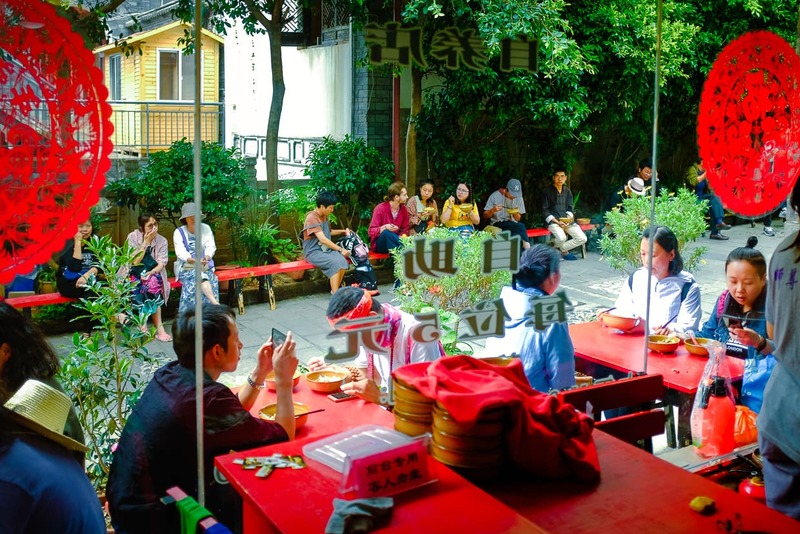 It should be noted that in most restaurants in Dali – and China in general – it is possible to order a dish without meat, especially if you speak Chinese. 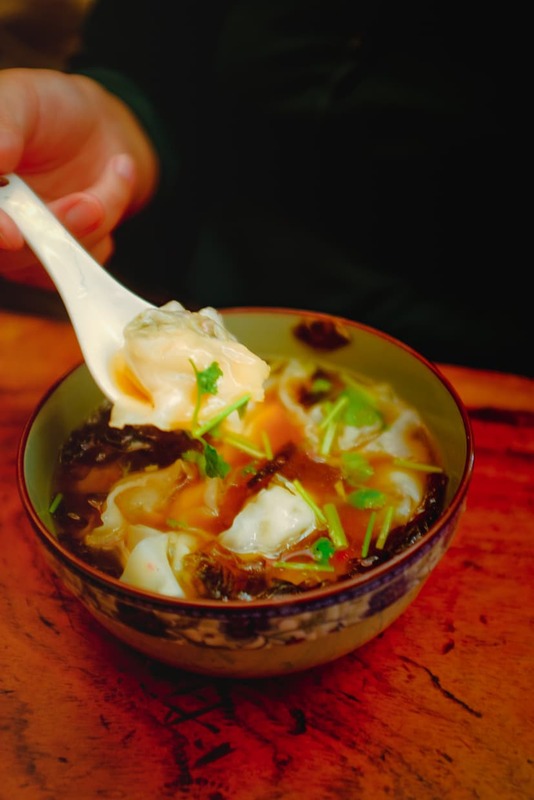 But it’s important to be aware, that most broths are meat broths, and many dishes are cooked in one kind of animal fat or another. The vegetarian restaurants on this list are all vegan, and you can order your food from them without fear. This is because the most common reason for the Chinese to be vegetarian is religion, which means no animal products at all. And even if you ask, some people consider fish to be vegetarian. By the way, to find these places, your best strategy is to copy and paste the Chinese characters in their names into Baidu Maps. Google Maps works ok in China overall, but if you just need to follow directions, you can use Baidu Maps which has a few more of the smaller streets listed accurately. 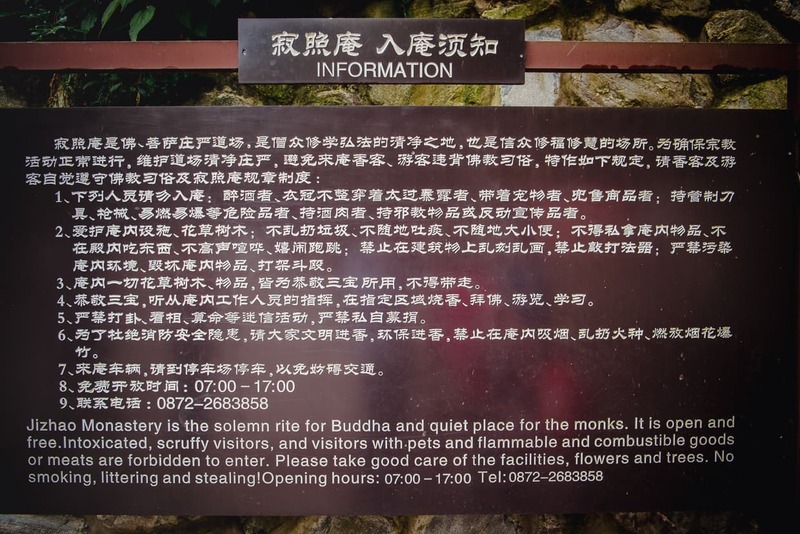 Unfortunately the directions are in Chinese, but you can just look at the picture. I’m putting the Cat Place first because not only is it one of our favorite vegetarian restaurants in Dali, it is also the first food we ate upon arriving in the city. I can still remember how, when we sat down to eat in our Airbnb, I felt positively giddy about the flavors we were enjoying. I had already eaten in many cities all over China and Asia, and this was the first time I felt like I was having something new! By the way, we call it “the Cat Place” because of the big mural of a cat eating a cabbage on the wall (and because I can’t speak Chinese). 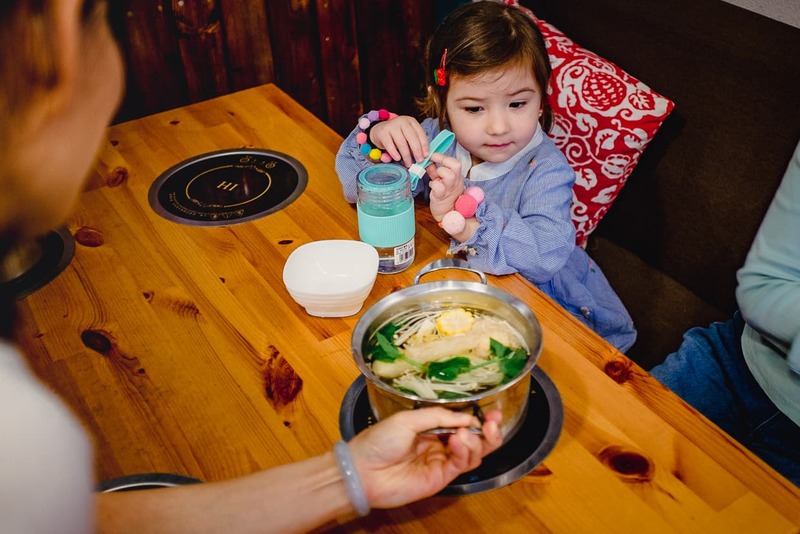 The Cat Place has a menu that varies with the season because the food they serve is local, but the flavors really are a sampling of many of the region’s foods. Some of the items stay the same, however. Everything is cooked to order, and the noodles, which are made fresh, have the best texture and consistency I’ve ever had. But their best dish – as far as we are concerned. Is actually a side called *mint thing*, a dish of vegetarian sausage made from tofu, nuts and regional spices, served over a pile of mint leaves. Also try their mushroom soup and Thai curry. This restaurant is not on Baidu or Google Maps yet. To get there, just walk slightly up the hill from this other restaurant on Google Maps. Update: The restaurant was closed for a couple of months as it moved to a larger storefront just a few doors farther up the hill. It is now open again with an expanded menu. I’m going to go ahead and say that this is the “best” vegetarian restaurant in Dali, and also the best vegetarian restaurant we’ve ever eaten in. 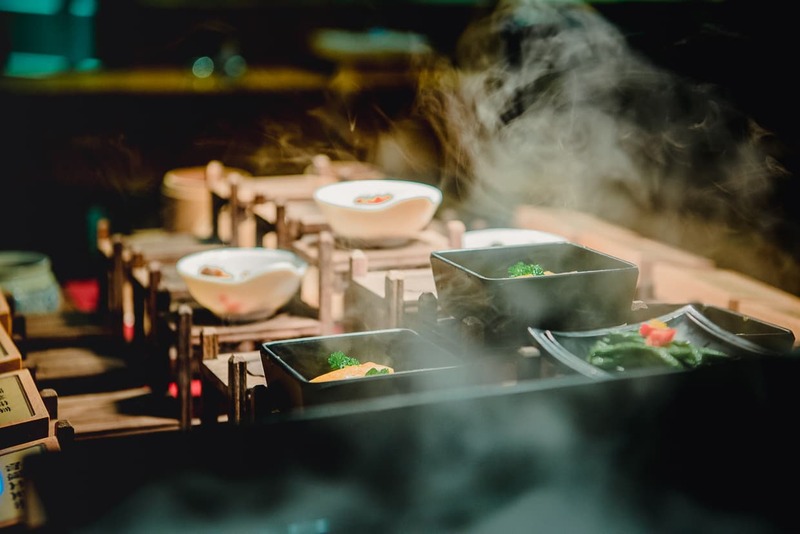 The Fancy Buffet is a bit pricey for China – a buffet meal for 78 RMB ($11.30) – but for visiting westerners it’s not outrageous given the quality. When you walk in, you pay for a tray and choose from a variety of dishes layer out beautifully in a small serving room. The serving sizes are small, but you can take as many as you like, and the food is exquisite. There is a trend in Asia, and much of the rest of the world, toward vegetarian food that imitates meat. Think seitan and textured soy protein. 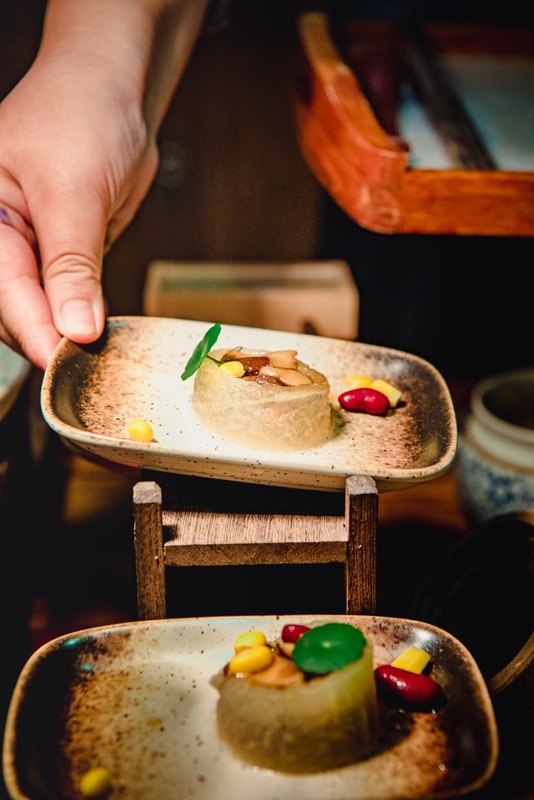 But here you will find vegetarian food that is simply plants cooked as perfectly as they can be cooked and plated in a way that pleases the eyes as well. Many of the dishes include combinations of flavors that I never would have thought to try, but which absolutely delighted us. 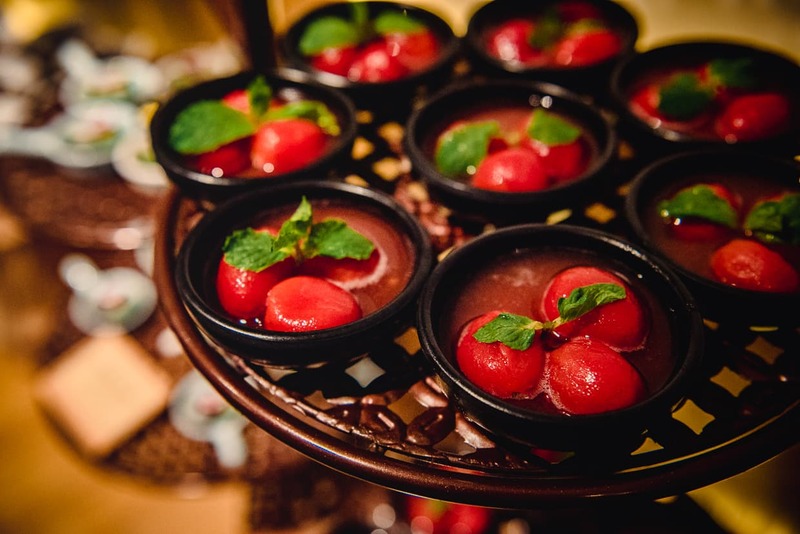 Cherry tomatoes in cherry sauce with mint leaves. 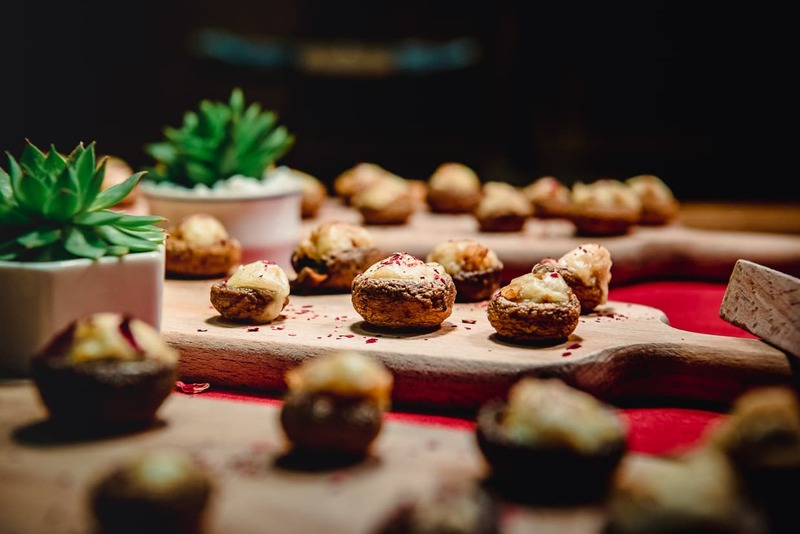 This is a good restaurant for a romantic evening, and the servings – prepared on small plates instead of slopped in a big trough – encourage you to eat until you are content instead of gorge until you are in pain. 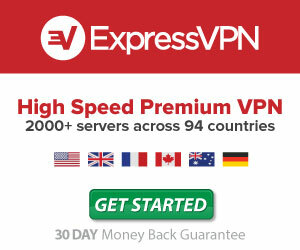 Just be aware that the hours are very limited. 78RMB ($11.30) for all you can eat… while they are open. 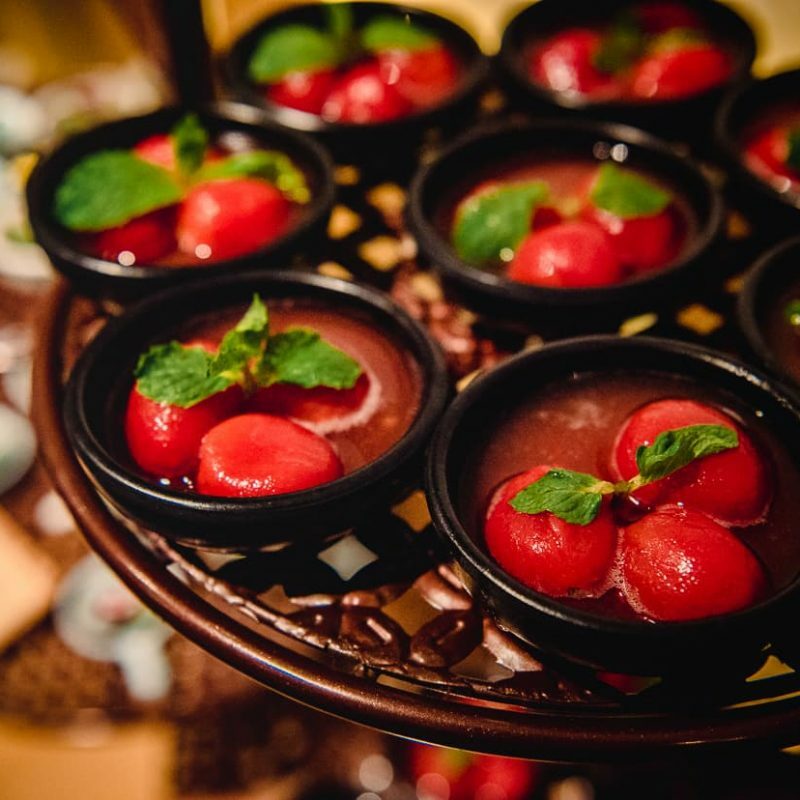 The fancy vegetarian buffet is about a hundred feet north of Yincang rd and Yeyu rd on Google Maps. Or enter 無相颂·蔬食养生厨坊 into Baidu Map. You’ll either love this place or you’ll hate it. We love it. Yirangtang is part of a Buddhist temple in the heart of the Dali, China Old Town. 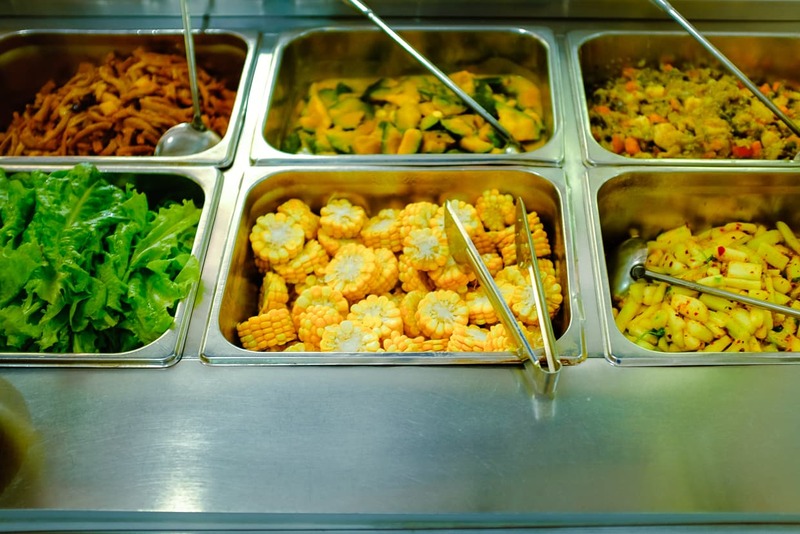 It’s a buffet style restaurant, and it is the most affordable meal you will ever eat. The price per person is 5RMB ($.75), and you can eat as much as you like. The food is served by volunteers. 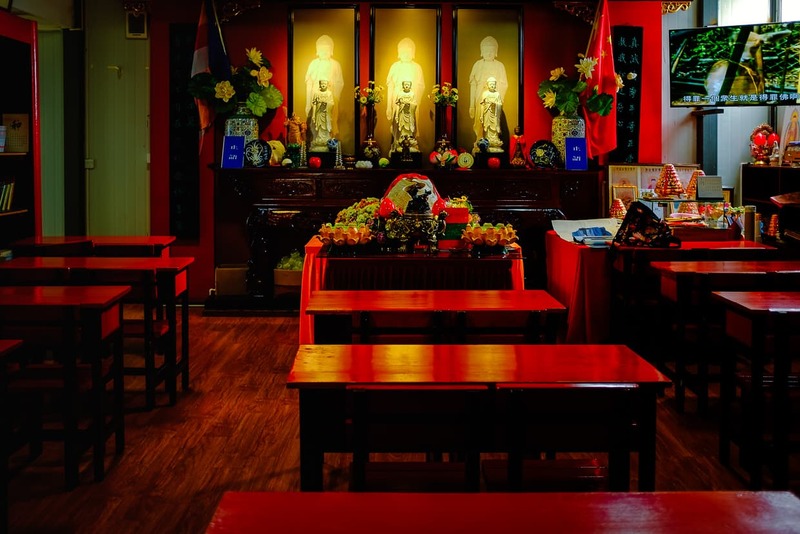 While you are eating, you can relax to the sound of Buddhist chants, and you might even get cut in line by a monk (let them pass, it’s their temple after all). You will be dining in the company of expats, locals tourists visiting from all over the world who have heard that this restaurant is an experience. 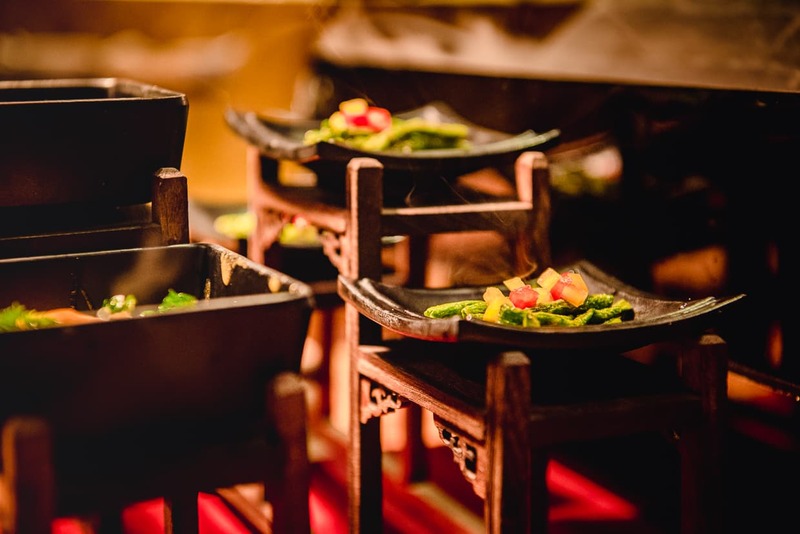 The food is authentic Chinese vegetarian food, and it is probably your best bet at trying some flavors you aren’t used to. 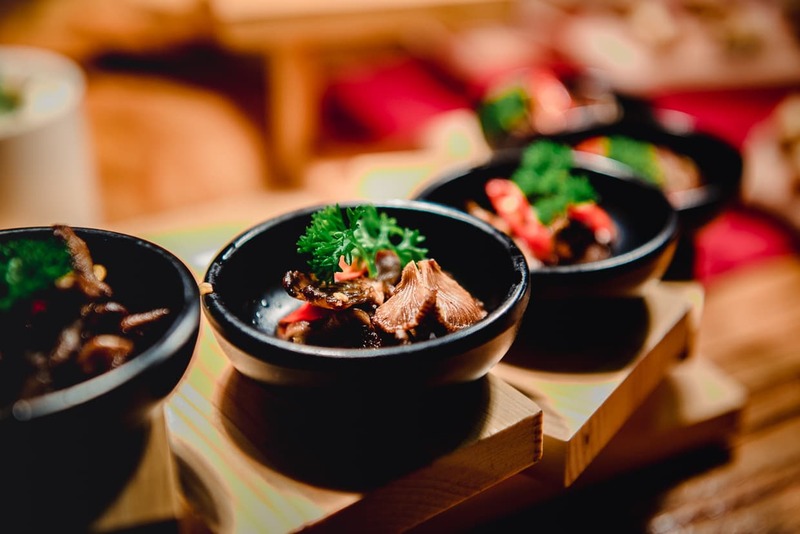 Some of the food is spicy, but not overpoweringly so, and there are several condiments you can add, mostly pickled and fermented vegetables, if you want to try them. Be aware that you are expected to eat everything you take, down to the last grain of rice. It’s a sin to waste food. The line of people waiting to get into Yirantang. The seating can be scarce at times. There are a few tables in the buffet area, and some two person tables in the reading room (where you must be quiet while you eat). If you don’t get any of those spots, you will have to eat on one of the benches outside, holding your bowl in your lap. Honestly though, that’s the most enjoyable way to do it when the weather is nice. Or enter 一然堂 into Baidu Map. 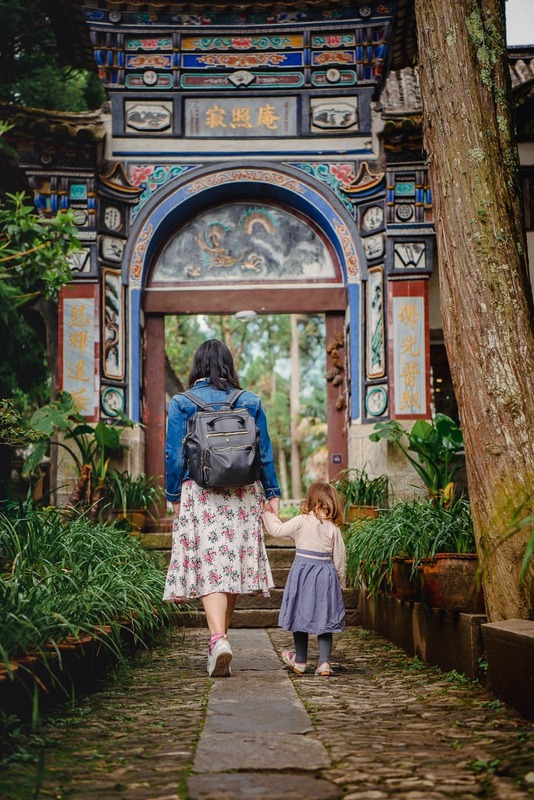 Approaching on foot, find your way to Bo Ai Road. About five hundred feet south of Renmin Road, turn west when you see this little road that turns uphill just to the right of a Buddhist temple. The restaurant will be on the right hand side of the road about three hundred feet up. It’s kind of funny, for a long time we thought this place was no good, but it turns out that when we ate there with some other people, the one doing the ordering had requested the food with no salt or spice. We tried Good Faith Vegetarian again a few months ago and were really excited to find out that the food was really good. Sweet and sour lotus root. They have a very nice selection of dishes from various cultures. They use a lot of imitation meats, and my favorite dish is the cumin “lamb,” which is served with cilantro and onions. The sweat and sour lotus roots are also very good. Enter 众善缘素食 into Baidu Map. Google Maps is not much help on this one. Ok, so this restaurant is not actually that great if you go in for a meal, but it makes the list because of one thing. Right outside the restaurant they have a grill stand where they sell vegetarian skewers. The skewers are awesome. 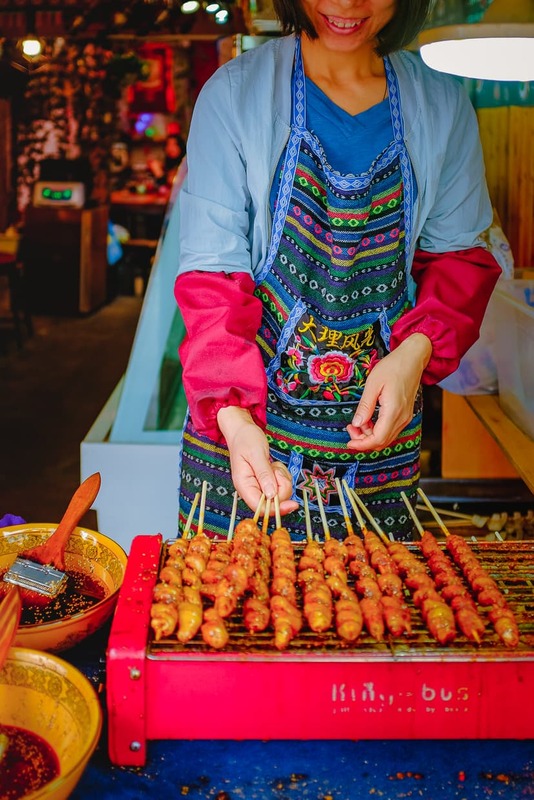 They have two kinds of skewers – a red sausage that has a nice five spice flavor too it, and some kind of spiral cut seitan skewer that is smothered in spicy pepper sauce. If you are out exploring the old town and you don’t want to sit down for a meal, this is your place to grab a filling snack that you can eat while you walk. The skewers will actually give you a chance to try some of the flavors you might feel like you are missing out on as you pass the dozens of meat skewer stands that are ubiquitous in Chinese Old Towns. Once again, don’t bother going inside for a meal – the other food is cheap but bland. Veggie Ark is a restaurant located on the rooftop of a hotel in the Dali Old Town. The first floor also has a store where vegetarian ingredients are sold if you feel inclined to do some cooking of your own. We had previously had Veggie Ark listed here as a great place to get western style vegetarian food like veggie burgers or pasta, but the chef has changed and that is no longer the case. 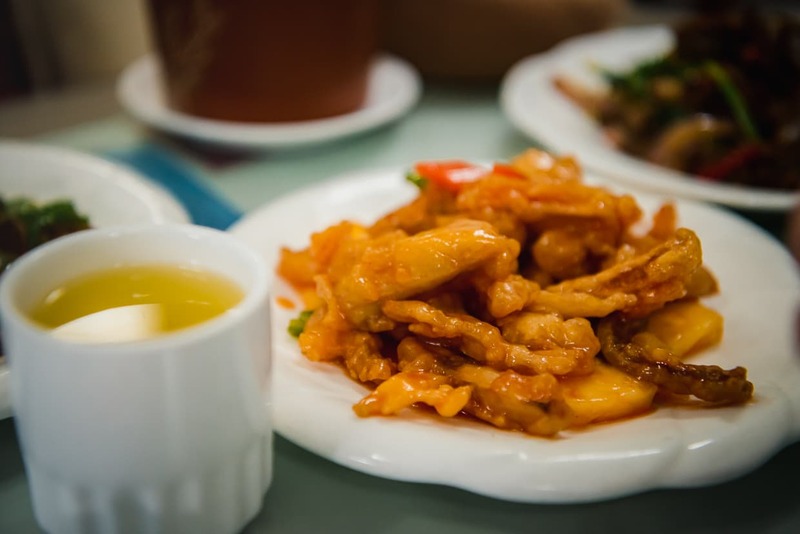 The food is now a bit more generic Chinese food, and though it is unlikely to offend most Western palettes, it doesn’t stand out quite as much as it used to. The old chef is now working in a new vegetarian restaurant (see below), which is excellent, but Veggie Ark is still definitely the most convenient vegetarian place in the Old Town, and it still offers a quiet and tranquil setting to enjoy a meal while taking in an amazing view of the rooftops of the old town and the Changshan mountains. The approximate location of Veggie Ark on Google Maps. Or enter 大理古城丘土庄园酒店 in Baidu Map. 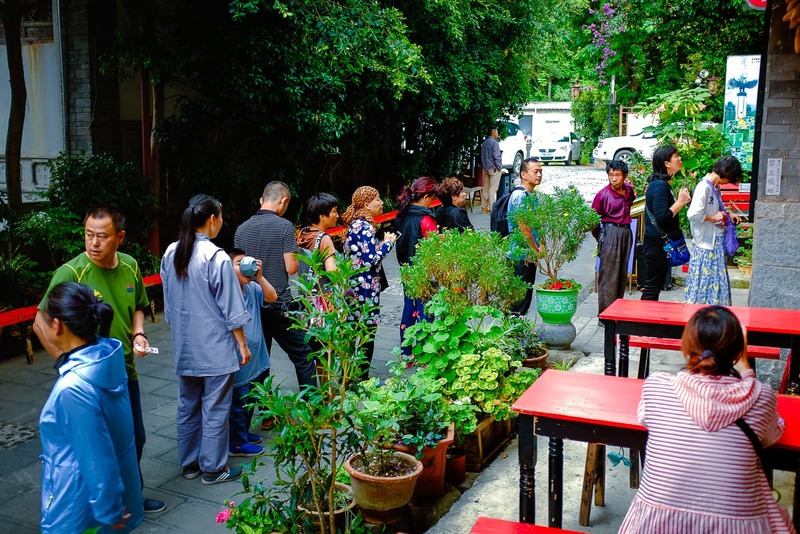 We only recently discovered that when the chef who used to cook good western food for Veggie Ark left, he and several others opened a new vegetarian restaurant near Dali University, up the hill from the the Old Town. This is great news because not only are our favorite dishes from the old Veggie Ark menu back, but the menu has expanded to include a lot of other good stuff as well. 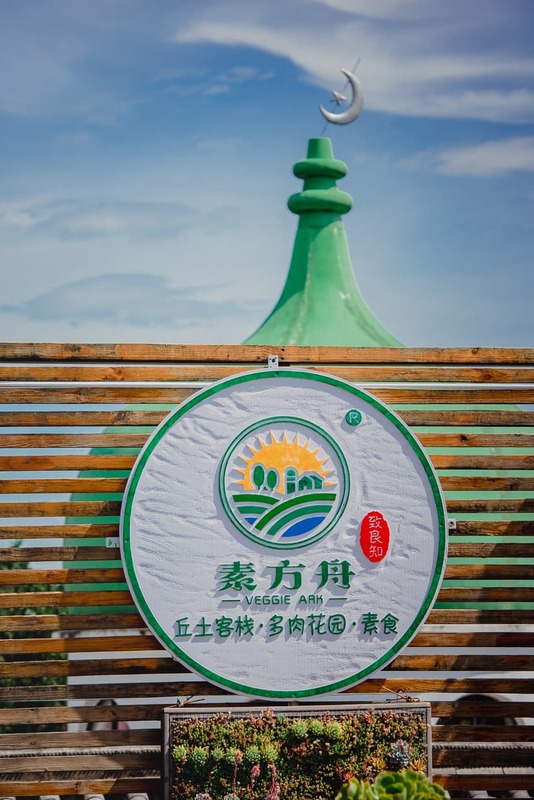 We’ll have pictures, prices and hours posted soon, but for now you can find it by going up Xuefu Road and turning right when you get to the top of the hill. Just walk a few hundred feet and you’ll see it on your right. The Nunnery isn’t actually inside the old town. In fact, if you want to eat here, you are going to have to go on an adventure. It is a Buddhist nunnery up in the mountains, but it has become a bit of a local landmark that many visitors to Dali visit to enjoy a meal. To get there, you will have to take a taxi or a Didi to *park*, and then start climbing. You go up a bunch of stairs, and then follow signs for 寂照庵 as you continue up a paved road. There will be cars that will offer to give you a ride, but unless you really can’t go on, I’d recommend walking to work up your appetite. When you arrive at *nunnery* you enter through a gate, find the meal ticket counter, pay and wait in a long line for them to start serving. It sounds like a hassle, but it’s worth it. Eating here is a little like eating at *elang tang*, except it costs a bit more and the food is incredible! 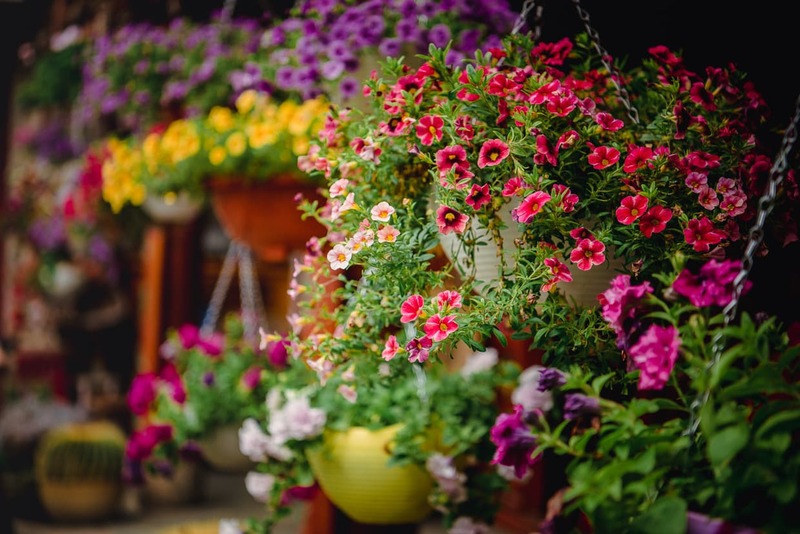 You will likely wind up eating outside, probably sitting on a stone wall in the beautiful courtyard or gardens. This is a religious place, so dress modestly and behave yourself. 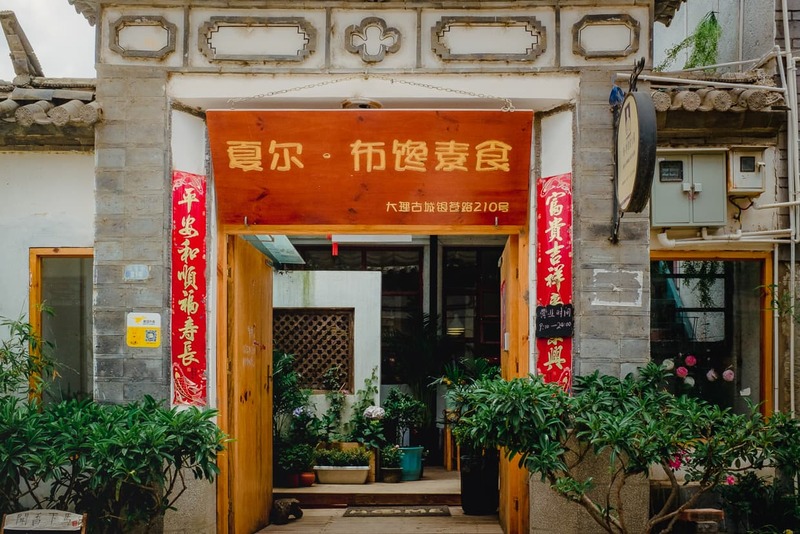 Located in the Northeast of the Dali Old Town, this vegetarian restaurant is off the beaten path, but within walking distance of some of the popular Dali attractions. The Hot Pot Place is a vegetarian hot pot. It’s the only one we’ve ever been to, and as far as I know, the only one in Dali. 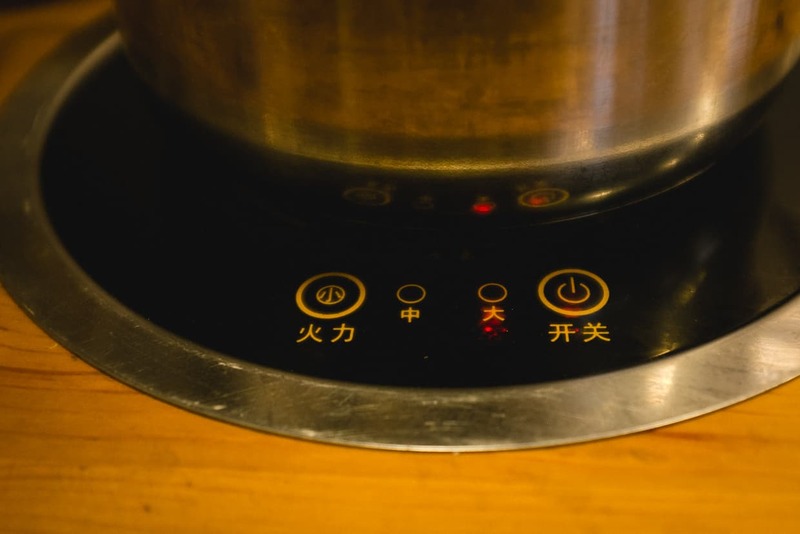 If you haven’t had Chinese hot pot before, let me explain how it works. At the counter, you tell the cashier what kind of broth you want from a menu on the wall. You then pick your seat. The table has four burners on it, and the server will come out with a pot of broth for every person, which will be placed on the burners and brought to a boil. You then drop in raw ingredients, which cook right there in front of you, and eat a long and filling meal while you enjoy the company of friends and family. 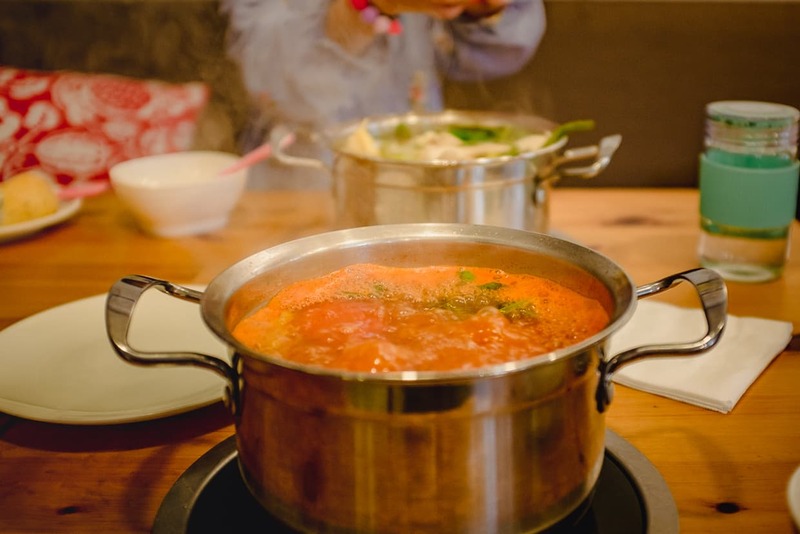 Most hot pot restaurants serve only meat broths, and most of the dishes are also meat. Also, you usually order the meats and vegetables from a menu and pay a la carte. What makes this restaurant different is that they have a buffet of dishes that you serve yourself from, and everything is vegan. In addition to being meat free, the Hot Pot Place has really nailed their flavors down. The restaurant is on a Tibetan street, but I’m not sure how much influence that has. My favorite broth is the tomato broth (I like it with mint leaves, basil and a little spicy pepper oil added in), and Dannie likes the mushroom broth. The Sichuan broth is also good, but it will definitely clear your sinuses. 38-79 RMB ($5.50 to 11.50). Includes noodles and fried rice for the table. Walk a minute north from this supermarket on Google Maps. 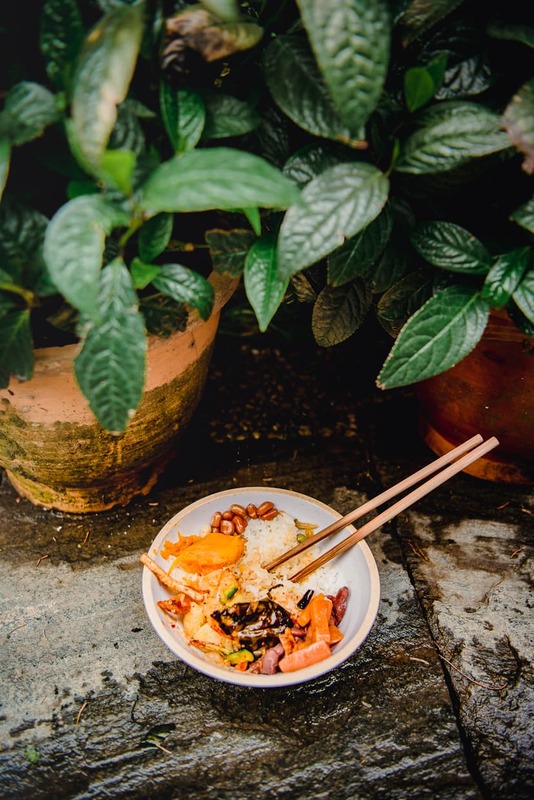 We know we won’t be living in Dali, China forever, and this makes us wish that we could eat every meal in the vegetarian restaurants here. The turnover on businesses in general is high in Dali, and we do our best to support the places that we love. If you try to eat at one of these restaurants and discover that anything has changed, please let us know so that we can provide updates. 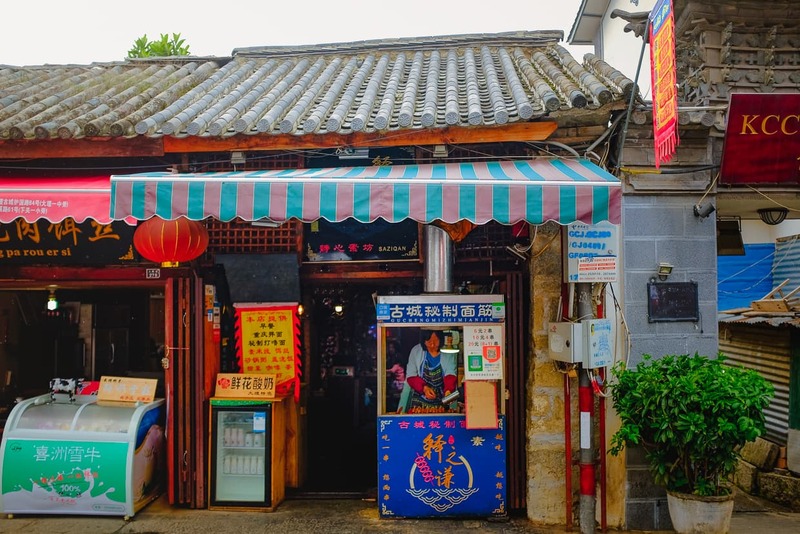 If you aren’t sure how to get around Dali to visit these restaurants, I recommend that you check out our article, Must Have Apps for Living in China, where you can learn how to download and use Didi, Chinas most popular (and very inexpensive) ride hailing app. We hope you find this list helpful, and we hope that you give some of these places a try. We can pretty much guarantee that you won’t be disappointed. 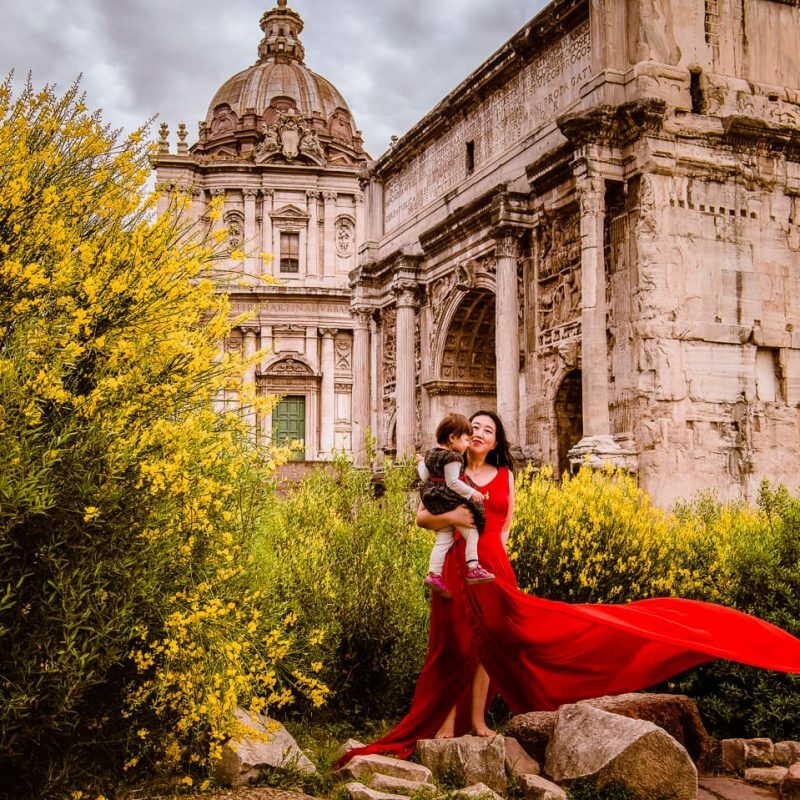 While you are visiting, you might want to read some of our other content about Dali, China, or check out the other destinations we have visited in Yunnan and other parts of Asia and Europe. Thanks for reading, and happy travels. Wow, my stomach was growling when I read your descriptions and looked at the pictures. Thank you for posting these. Dali is one of my destinations in August, and it’s good to read about food options. Looking forward to reading more about Dali. 🙂 Thanks for reading, Courtney. Of all the articles we’ve researched, this one was the most enjoyable! Hi, just to let people know, I tried to visit the cat place today but it seems to be closed. 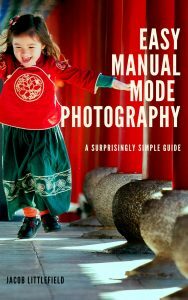 Thank you for this amazing guide though! The cat place closed down for the Chinese New Year, and they are moving into the storefront next door in order to get a little more space. I talked to one of the chefs, and he said they are going to have an expanded menu as well, which is nice because ever since they moved up the hill from the old town, a few of our favorite dishes have been missing from the menu. Hopefully they will all be back now that they have a big kitchen again. Or at least they will have one once they reopen. We’ll stop by periodically to see if they are open again, but if anyone else happens to go by and see, feel free to comment.